Set to take pride of place in your dining area, the Polo Dining Chair Grey Fabric is a charming piece of modern design. Inviting you to sit back and relax, the Polo Dining Chair is a fantastic choice for those who seek a touch of simplicity and refinement. 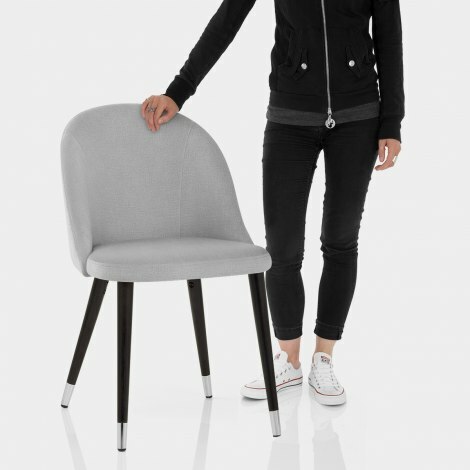 In glorious grey fabric, the rounded seat is entirely padded and features a curving backrest that supports the user comfortably. 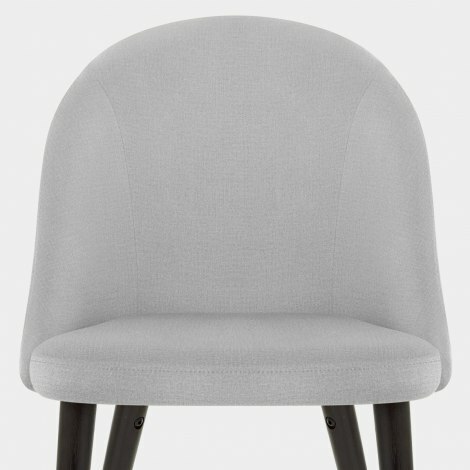 Perfectly plush, the grey seat also includes modest stitch detail. Polished chrome tips give the wooden legs a modern edge, and are contrasted by a dark wenge finish that adds sleek style. Finally, the legs are completed by rubber pads, which aid in floor protection and can be adjusted to use on uneven surfaces.